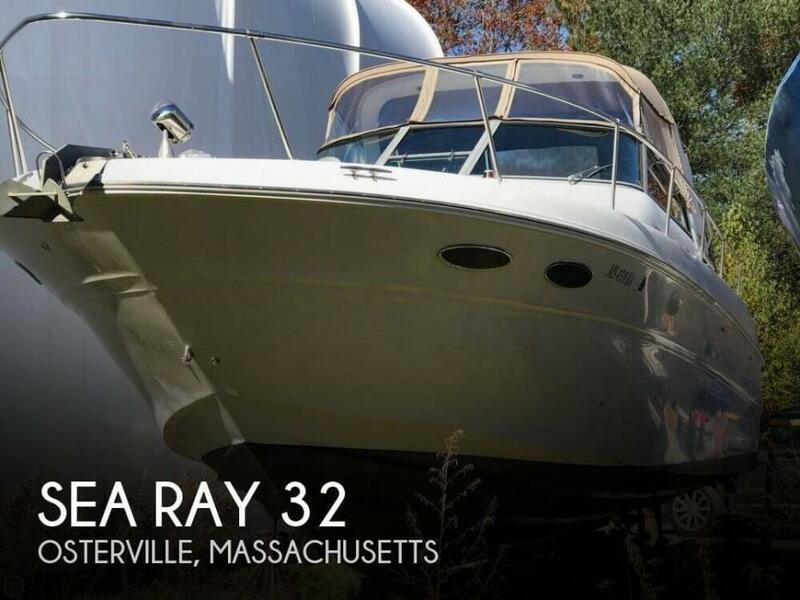 It was a very pleasant surprise to see a 1987 Sea Ray as clean and good shape as this boat is presently, especially the galley with spotless frig, stove and oven. The upholstery below deck, though dated, is also in great shape. The head, with shower, has no mold/mildew or odor often associated with older boats. This boat is ready to just move in to for some cruising. 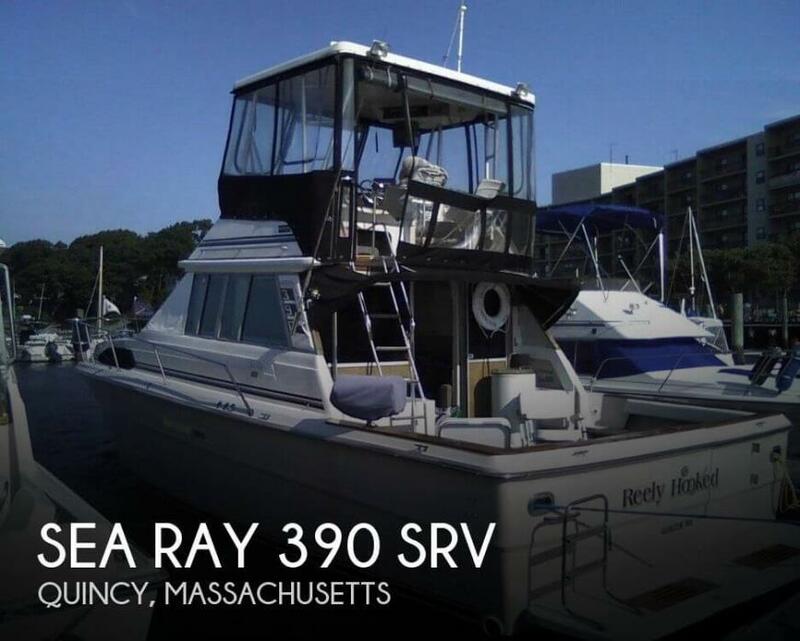 Stock #162392 Nice Sea Ray 340 Express Cruiser with generator, A/C, heat and full camper canvas! 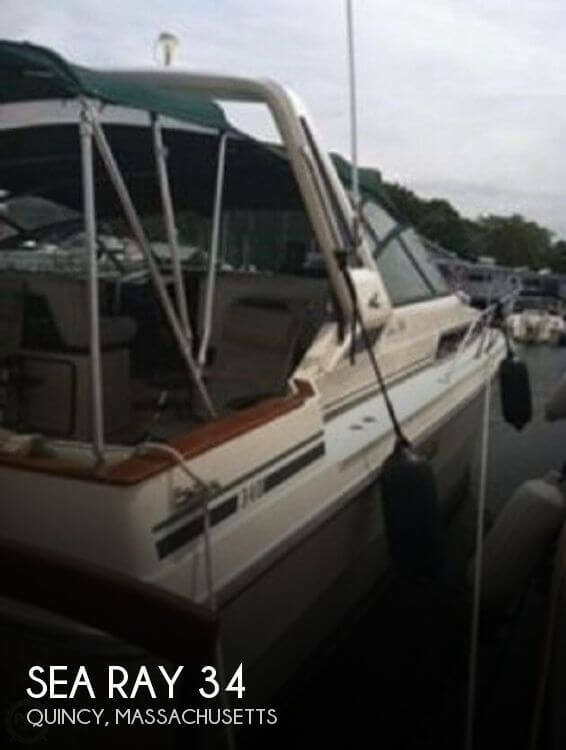 If you are in the market for an express cruiser, look no further than this 1987 Sea Ray 340 Express Cruiser, priced right at $21,500 (offers encouraged). 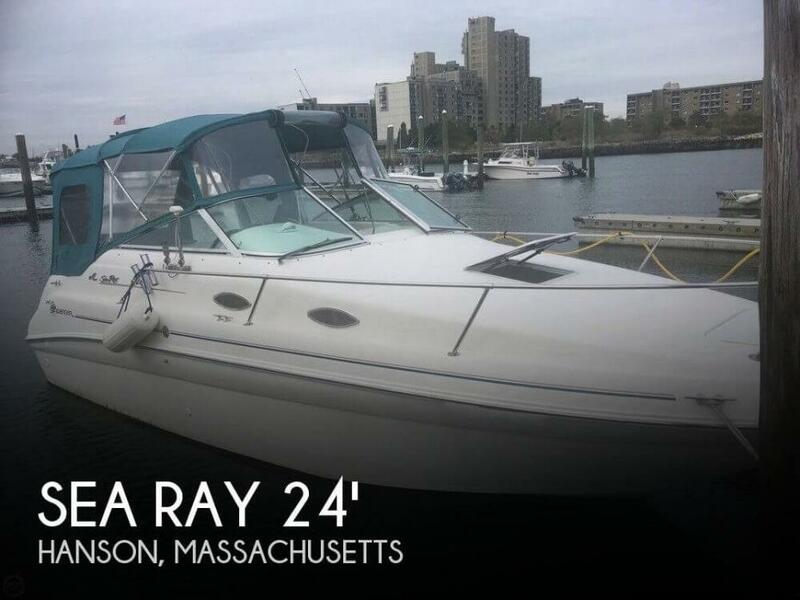 This vessel is located in Quincy, Massachusetts and is in great condition. She is also equipped with twin Mercruiser engines that have 1,100 hours. Reason for selling is bought a new boat. This yacht is in surprisingly good condition for its age and is ready to splash and ride. The canvas and isinglass are in good condition with no replacement needed. The cockpit canvas and isinglass was new in 2017 and is Sunbrella with vinyl backing to be waterproof. The bottom paint is also in good condition with barely any touch up needed. There is some minor UV discoloration on the gunnel pads. The upholstery both above and below decks is in great condition. 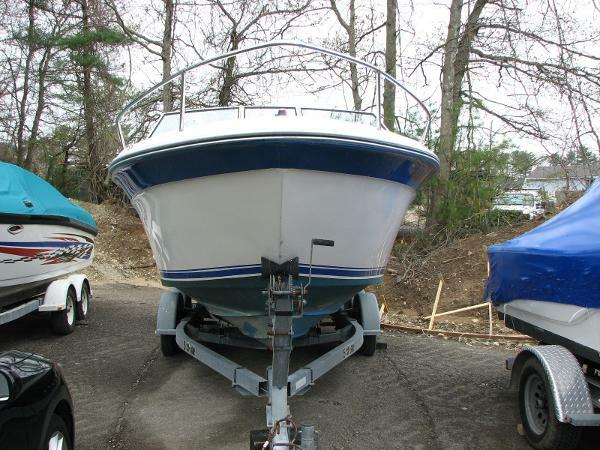 Stock #162936 Great condition, well maintained, just splash and ride with your friends and family. 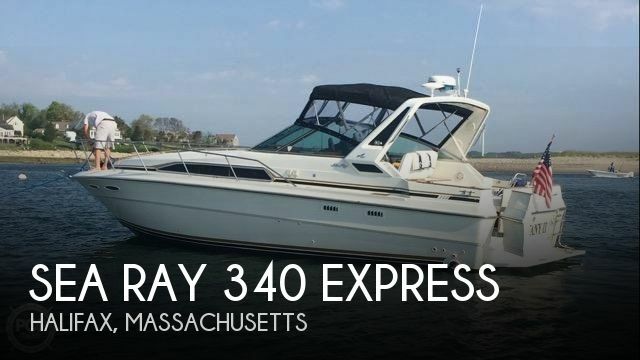 If you are in the market for an express cruiser, look no further than this 1989 Sea Ray 340 Express, priced right at $24,000 (offers encouraged). This vessel is located in Halifax, Massachusetts and is in great condition. She is also equipped with twin Mercruiser engines. Reason for selling is buying bigger boat. The seller is sad to see this gem go considering it has done nothing but pleased him. Never once has he complained about the ride quality and comfort of this boat. With the amount of livable space, it is almost like a second home and that is how it has been kept. This boat would make you proud to take your friends and family out on. Stock #166872 NICE BOAT READY FOR THE WATER! FULL CAMPER CANVAS AT UPPER HELM, REMOTE SPOTLIGHT, BOW RAIL, LOTS OF DECK SPACE & STORAGE!! MUCH MORE INCLUDED!! 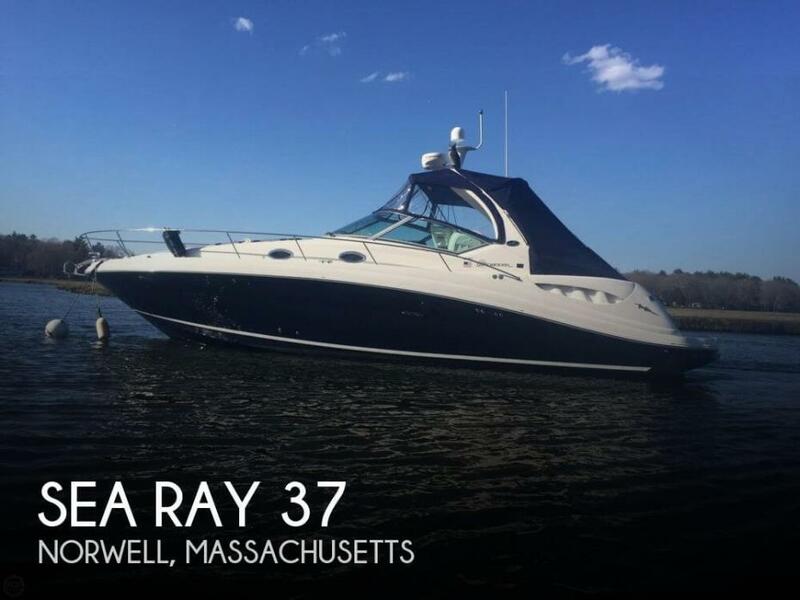 If you are in the market for a sportfish/convertible boat, look no further than this 1986 Sea Ray 390 SRV, just reduced to $35,500 (offers encouraged). 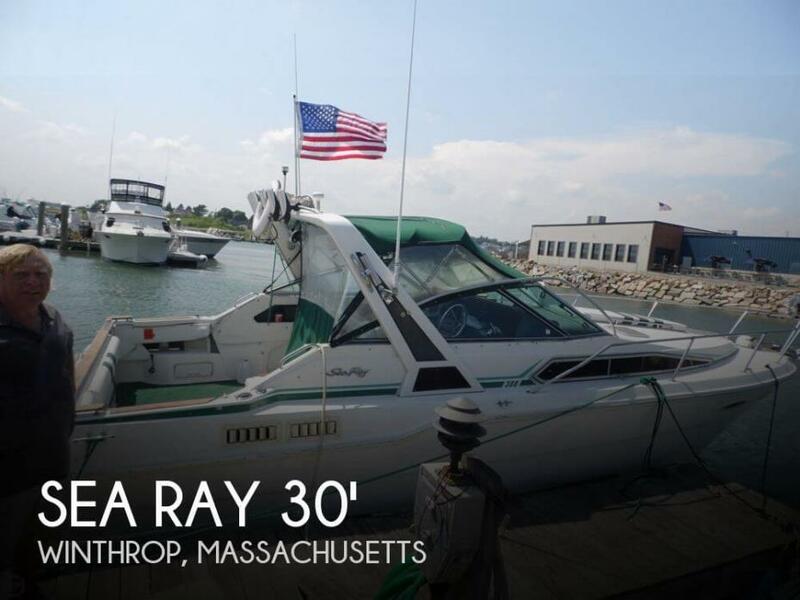 This vessel is located in Quincy, Massachusetts and is in great condition. She is also equipped with twin Mercruiser engines. Reason for selling is down sizing. This boat is remarkable in both the cleanliness and condition of all its features. The engine compartment is spotless as the rest of the boat. It shows true pride of ownership. The hull is polished to a high shine, clearly waxed throughout the season and not just once in the spring. It has only seen 281 engine hours since purchase Stock #161063 Low hours and very clean with nothing needing to be done to just splash and ride. 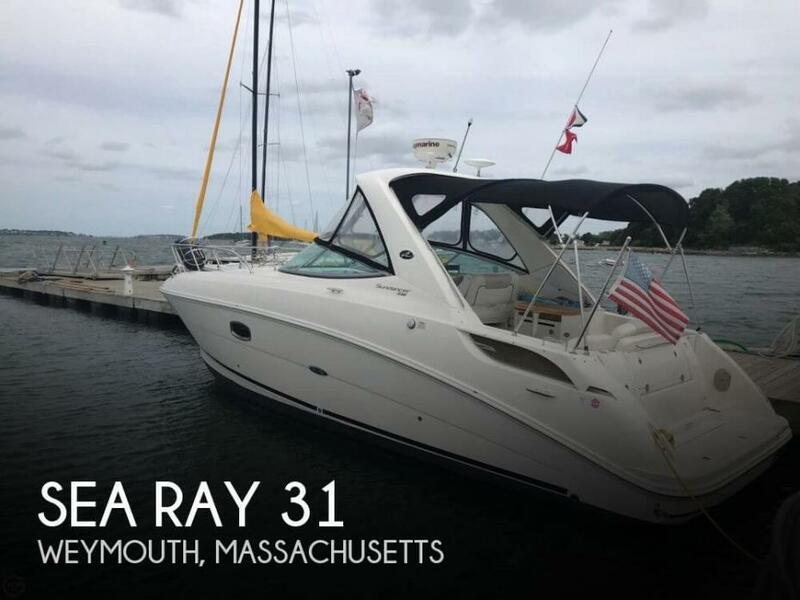 If you are in the market for an express cruiser, look no further than this 2010 Sea Ray 310 Sundancer, just reduced to $113,000 (offers encouraged). 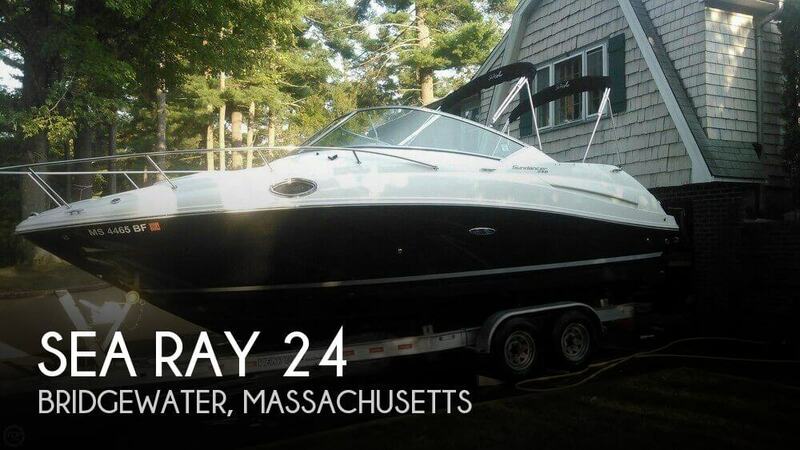 This boat is located in Weymouth, Massachusetts and is in great condition. She is also equipped with twin Mercruiser engines that have only 281 hours. Reason for selling is no longer using it. 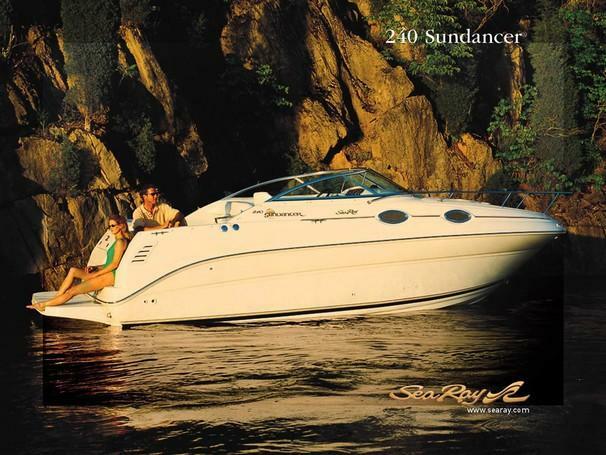 2004 Sea Ray 340 Sundancer. Too many options and upgrades to list. 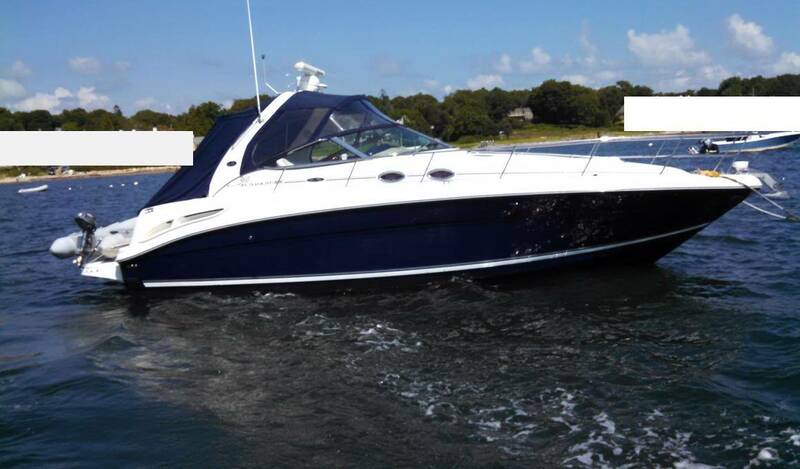 This boat is turn key as reported by both the seller and the local field representative who took over 200 plus photos of this wonderful boat. Come make an appointment to visit her or make an offer today before it is gone forever. Stock #161696 Like New, Meticulously Maintained. Loaded with options and features. 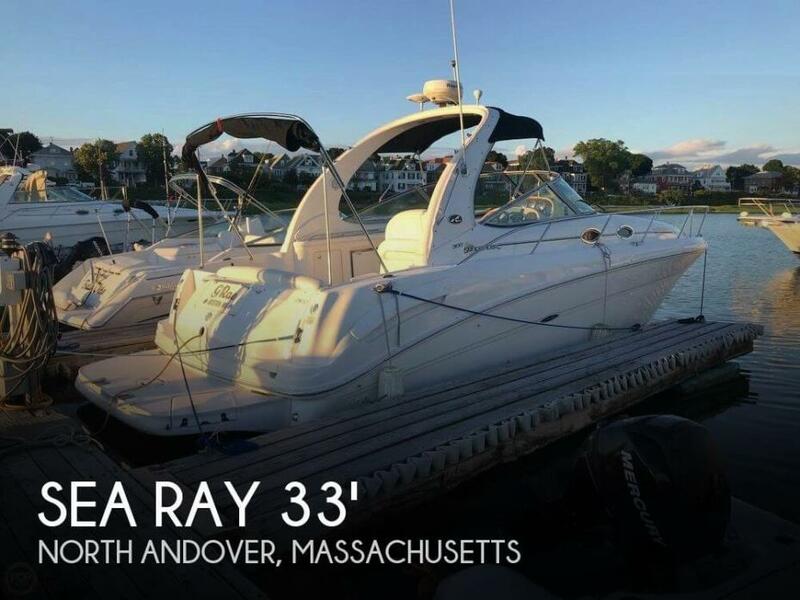 If you are in the market for an express cruiser, look no further than this 2004 Sea Ray 340 Sundancer, priced right at $127,800 (offers encouraged). 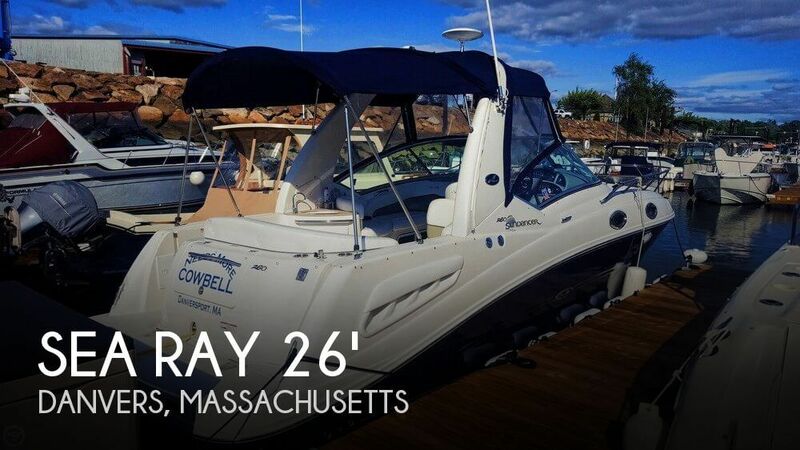 This vessel is located in Norwell, Massachusetts and is in good condition. She is also equipped with twin Mercruiser engines that have 722 hours. 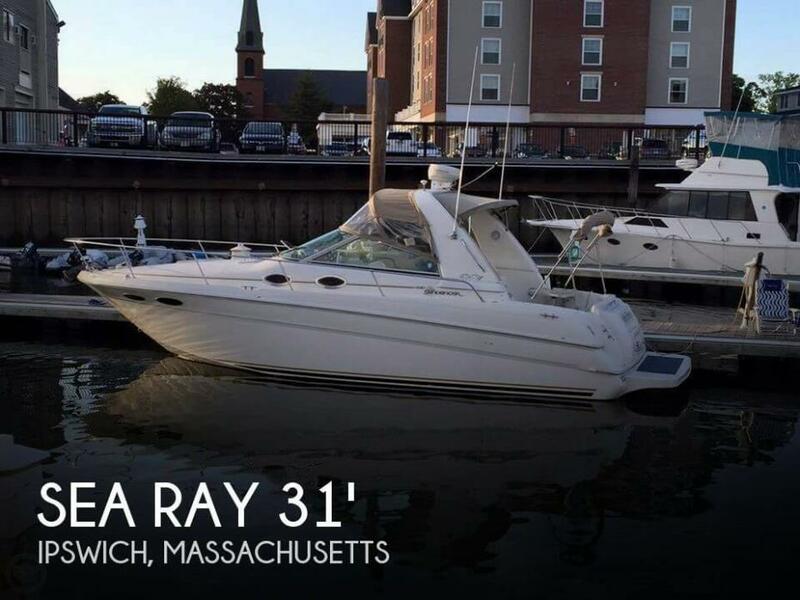 1989 Sea Ray 220 Cuddy Cabin Brand new engine 2015 with 50 hours, All new gauges, cables, steering package, control box, bilge pumps, manifolds, elbows, motor mounts, thermostat, water pump, hoses, fuel line, batterys, lights, bellows, boat is turn key priced for quick sale. 2002 Sea Ray 240 Sundancer IMMACULATE BOAT READY TO ENJOY ON THE WATER NOW MUST SEE!!!!!! This versatile, affordable 240 Sundancer has everything you and your active family is looking for. Built for stability and comfort - as well as to enhance cabin space - the Sundancer's raised-helm design provides even the seasoned boater with an opportunity to take a step up. It's loaded with standard features you won't find anywhere else, including shore power, distribution panel, and water heater with exchanger. As for power, the 260-horsepower, 5.0L Bravo III MCM stern drive engine will give you all the performance you need - and more This boat is ready for the water. New risers and manifolds new bimini top with eisenglass Boat also come with Venture trailer. Just listed pictures coming soon.